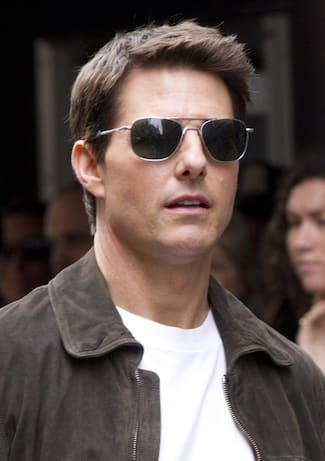 Your attire speaks a lot about your personality and temperament. 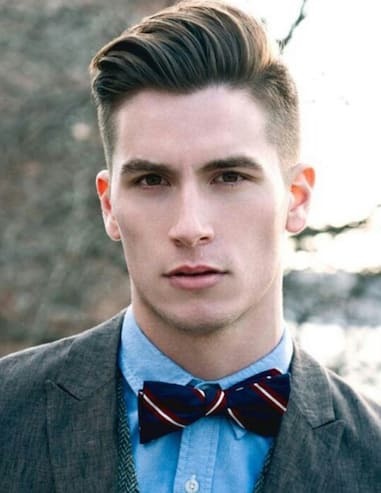 Like your dressing, your hairstyle is also considered responsible for your overall identity. 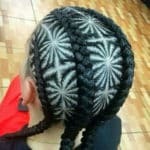 But unlike your clothes which you can choose and change on daily basis, it is not viable to change your hairstyle and haircut every other day. 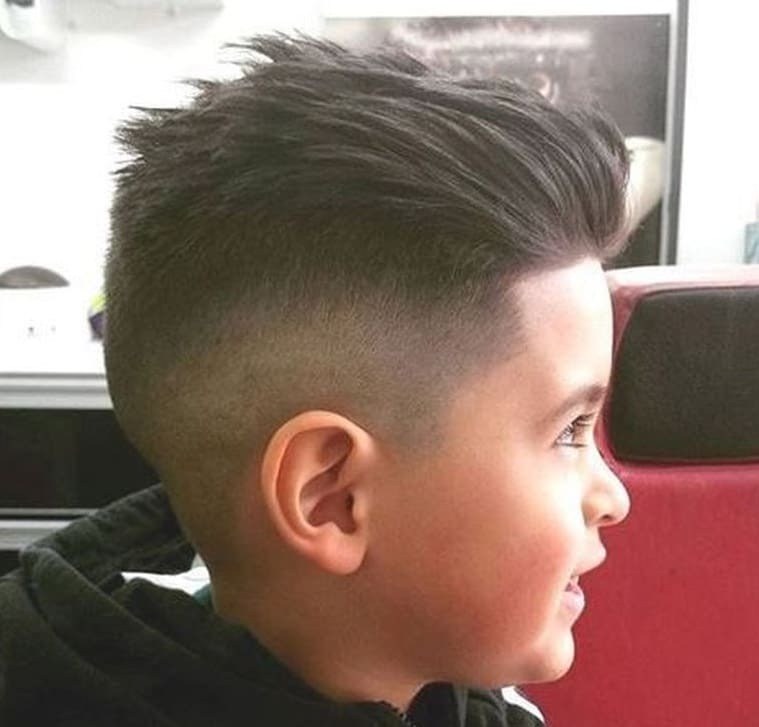 Therefore, you need to be really wise in the selection of your haircut. 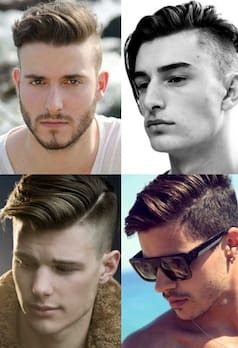 Which haircut with what kind of styling matters a lot if you want to flaunt with your style every day. 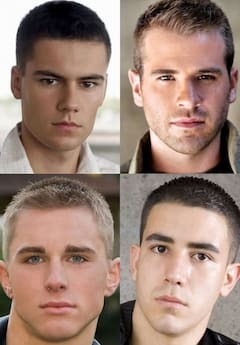 We advise you to read your face cut before selecting any hairstyle. 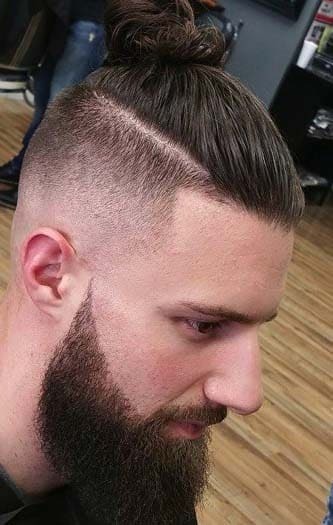 If you know your face shape you’ll be able to get a hairstyle that will embellish the personification of your individuality. 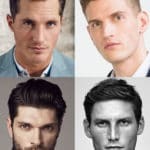 Earlier we told you about hairstyles for oval faces, now we will tell you hairstyle which suits most to men with Square Faces. 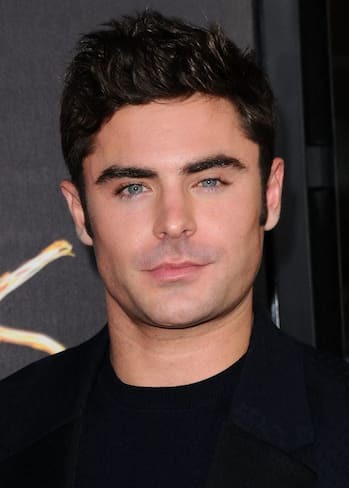 If the outline of your face is wide with strong cheekbones alongside a broad forehead and angular jaw, that means you have a square-shaped face. 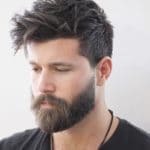 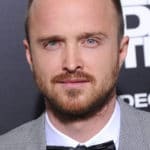 It depicts that a Square Face has edgy looks that means you should not go for sharp or acute haircuts instead you should try to wear soft and subtle haircuts. 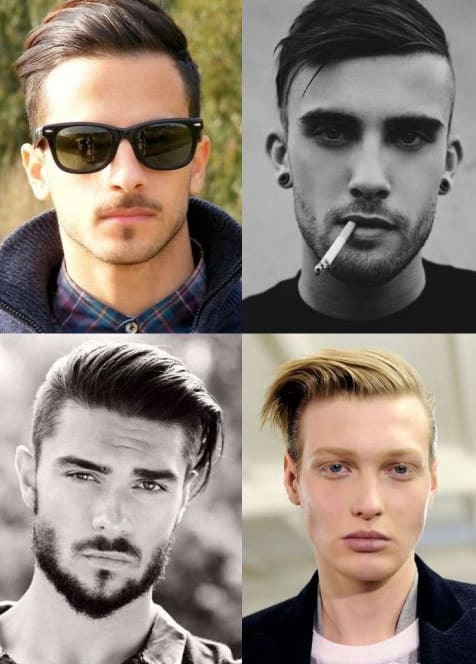 Here we’ll provide you with a guide to adopting haircuts if you have a square-shaped face. 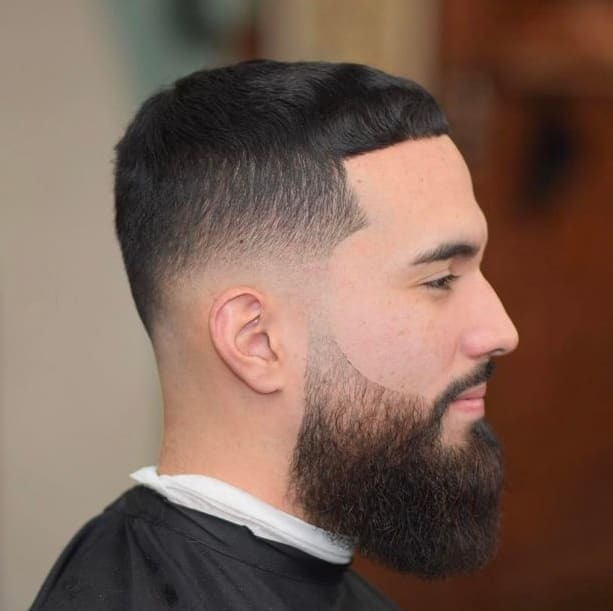 Here is a simple and yet elegant haircut for people with Square Face, you can get fade cut on one side and the remaining hair are brushed up and style over another side of the head. 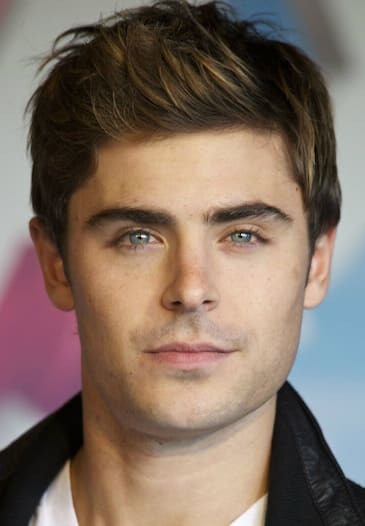 It is another kind of side-parted hairstyle which will give you soft and executive look. 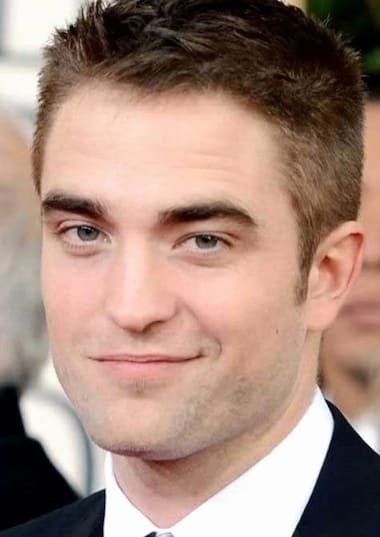 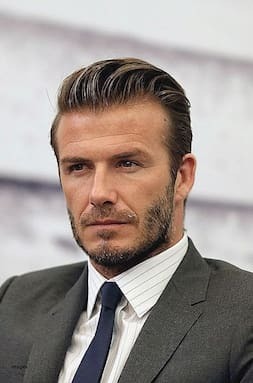 You can wear this haircut on daily basis and with the little amount of pomade or shiny hair gel this hairstyle will give you a formal celeb look. 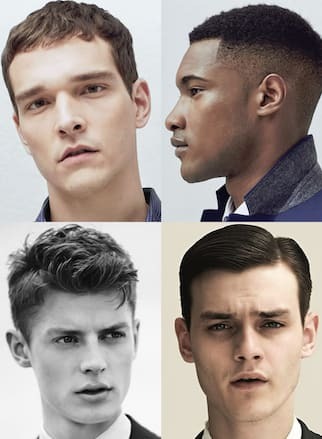 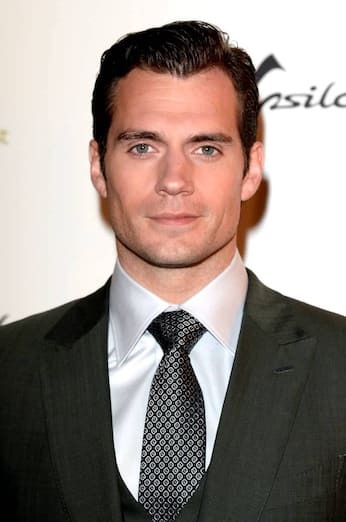 The slicked Back Undercut is one of the most popular haircuts to add the masculinity to the Square shaped men. 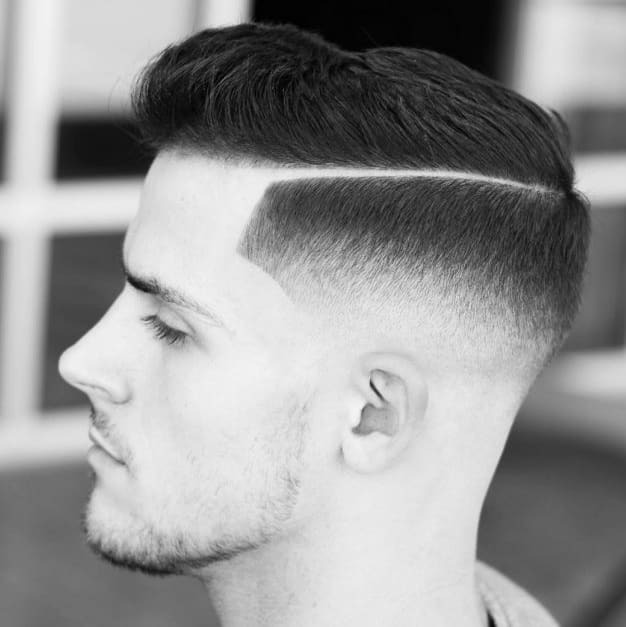 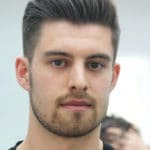 The top hair of the head is relatively long whilst the sides and back are cut short with appropriate scissors by using clippers or shave the sides with razors. 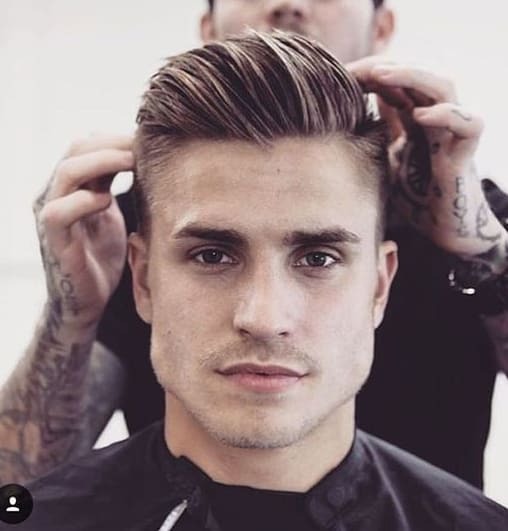 In order to style your hair, all you have to do is to blow dry your hair and use a comb to slick back your hair at the to top towards the back and side. 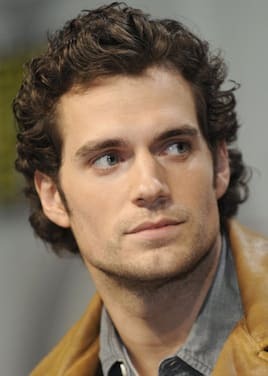 You are all set to go! 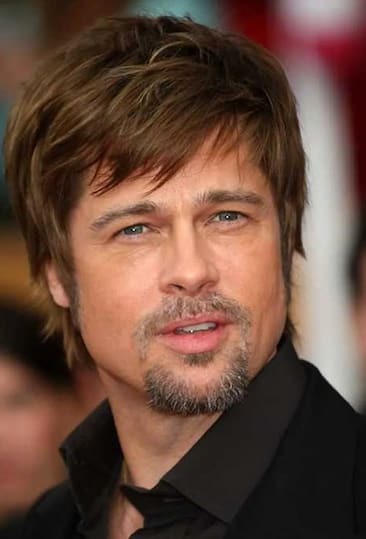 This is one of the most stylish and nifty hairstyles for men with a Square Face. 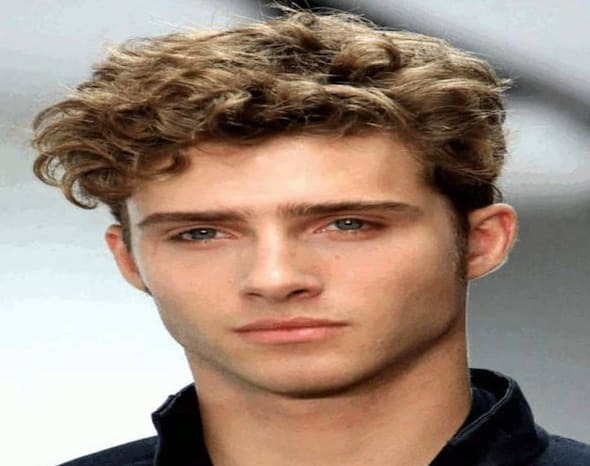 If you have healthy thick and wavy hair then you’ll flaunt with the hairstyle. 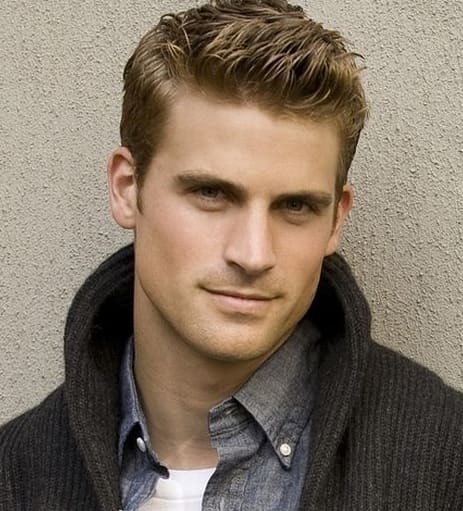 In order to wear this hairstyle, you should have short to medium length hair. 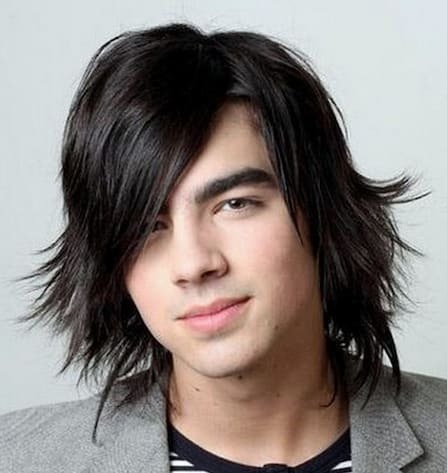 The hairs are roughly parted with edges relatively short. 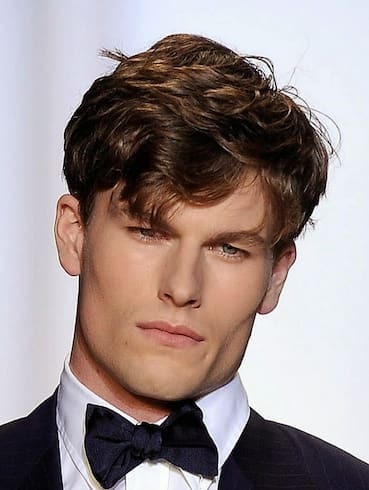 The longer hair is styled with some hair product to create waves which gives a subtle look to your sharp face. 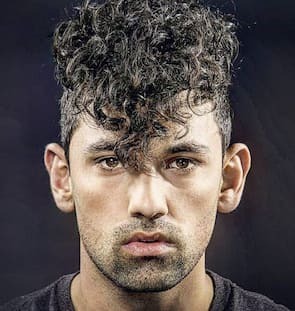 From medium to professional styling might be required for this Walnut Wave Hairstyle. 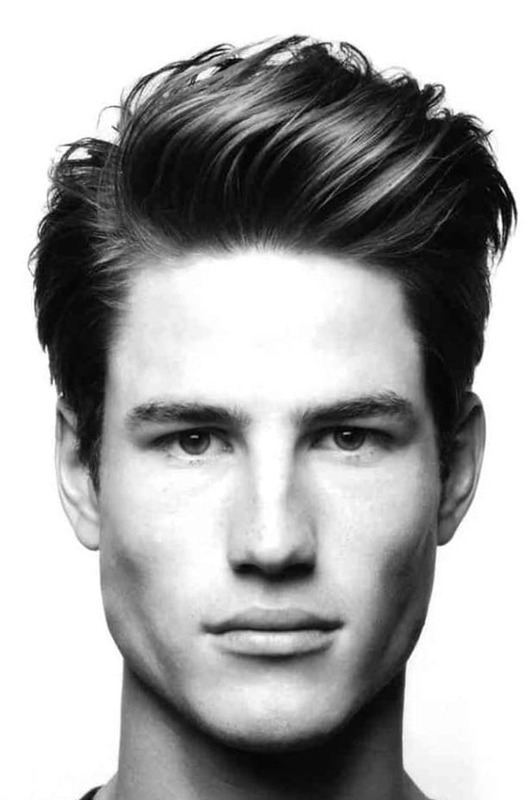 This is a hairstyle which pairs perfectly with a square-shaped face. 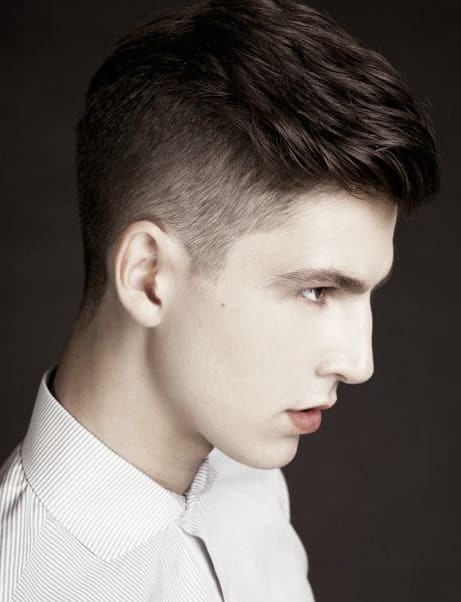 Get shaved side or sides with very short hair and style your top hairs in the form of pompadour. 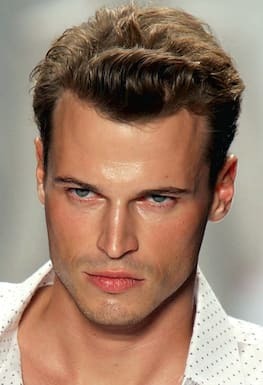 This is the hairstyle suits with short pompadour because it draws more attention towards the face like slicked back hair. 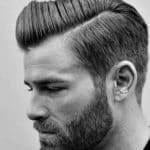 Too long or even medium length pompadour will not work for Square Faces, because it may make your face look rectangular or too long. 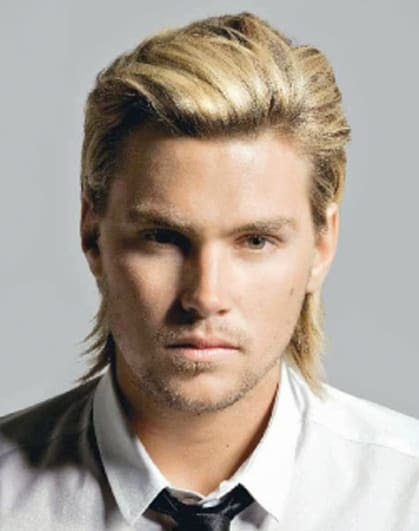 Here is a hairstyle for you if you are a fan of the long hair but with Square Face. 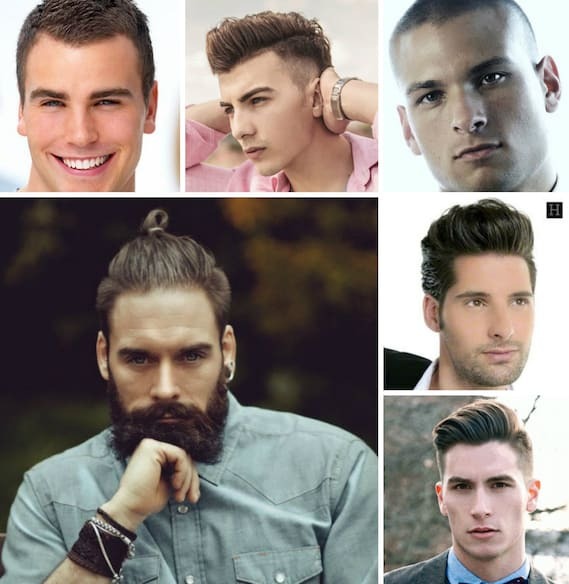 The top-Knot is one of the kinds of the man bun. 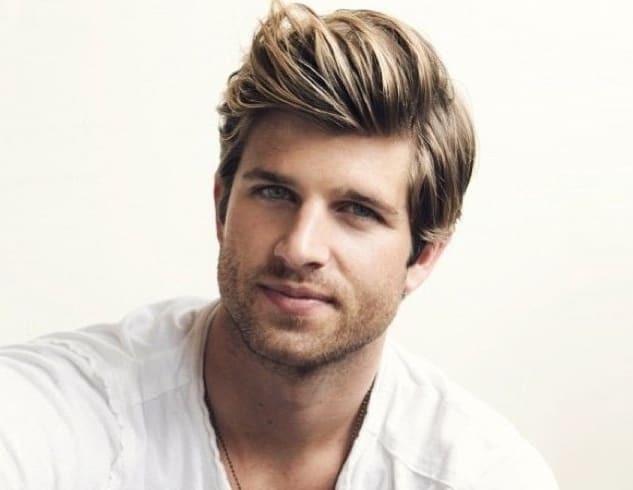 Take all of your hairs in your hands and make a bun at the top of your head. 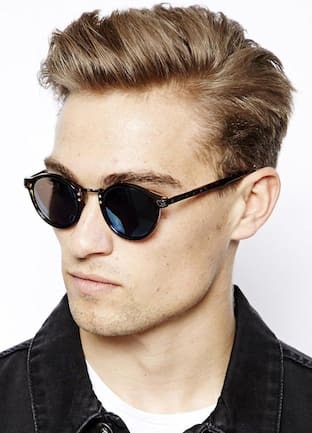 For a tidy look you can tie all of your hair in a bun, but if you want your face to be a focal point then leave some hair that drops down on your face and forehead.